Butter and Herb New Potatoes. 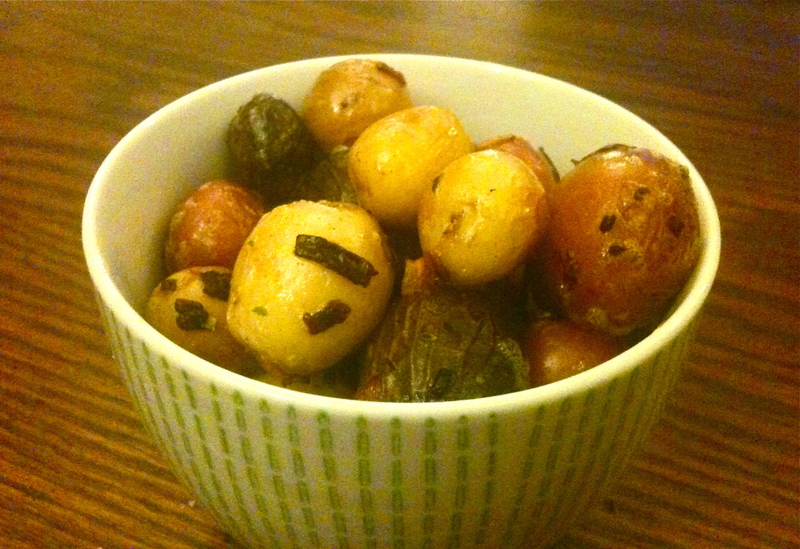 New potatoes are those little guys you see in spring and summer. 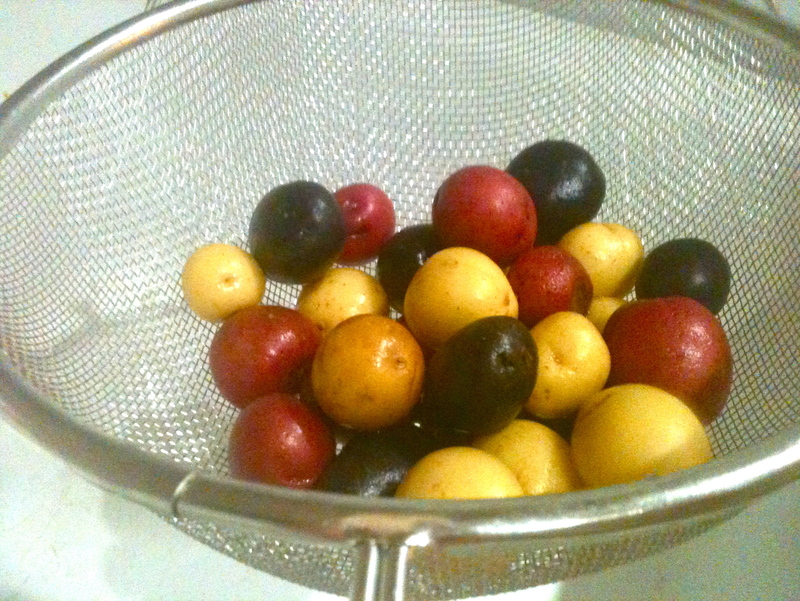 They’re not fully grown when they’re harvested, hence the “new.” At a farmer’s market on Saturday morning, I found a whole big basket full of baby marbled potatoes, so I took a few home to cook for dinner. A word to the wise about this recipe: the whole time the potatoes and shallots were browning, I was cursing myself for having no bacon in the house. If you’re lucky enough to have it on hand, USE IT! And don’t you dare feel any food guilt afterward: potatoes, shallots, bacon, butter–that’s the price you pay for authentic French flavor. Just enjoy it. Wash potatoes thoroughly. Place in a pot and cover with cold water. 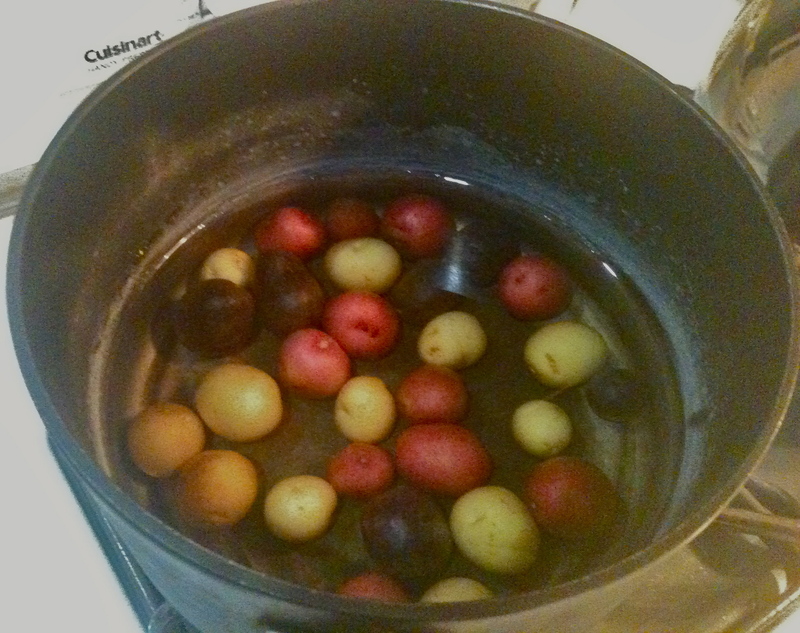 Bring to a boil, let boil for 2 minutes, then drain. Heat olive oil in a pan over medium heat. 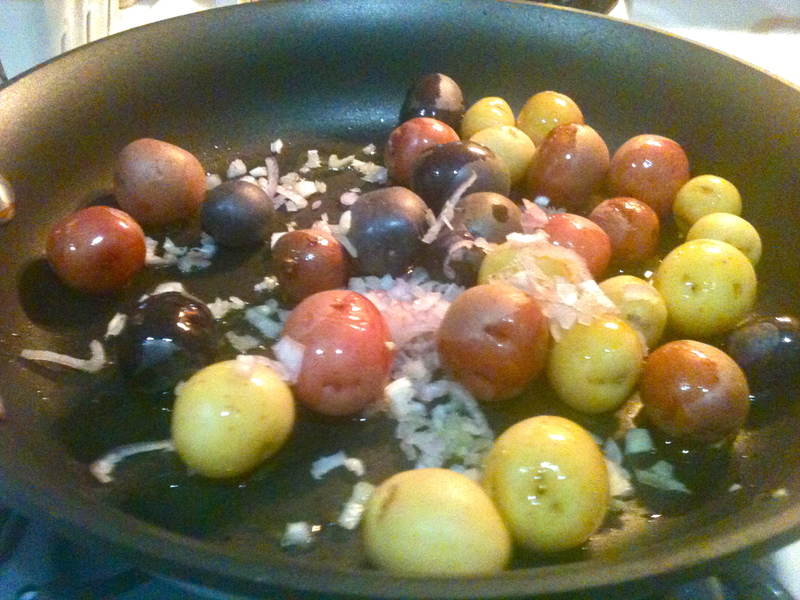 Add potatoes and shallot and cook until browned. When browned to your liking, remove from heat. 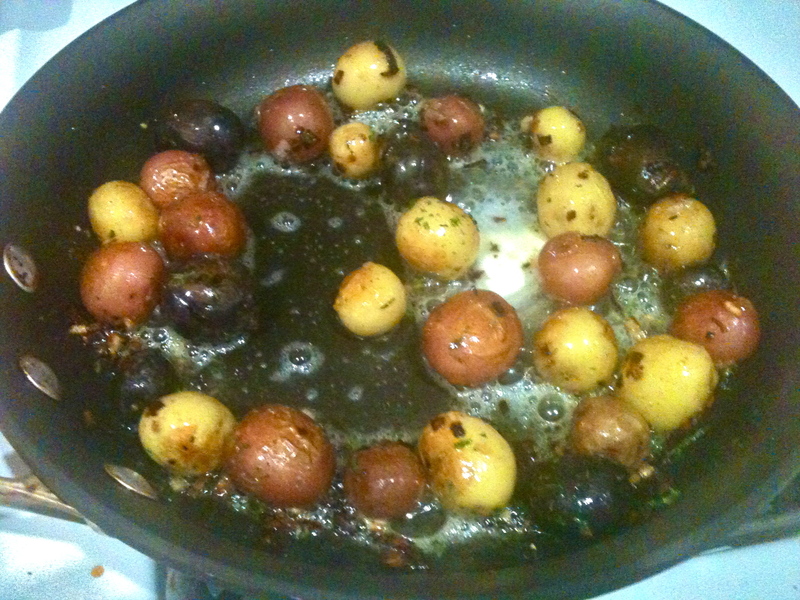 Sprinkle lightly with parsley and thyme, and add salt and pepper to taste. Stir in butter until melted. Serve plain, or with sour cream. Previous Windowsill Herb Garden and Garlic Thyme Olive Oil.